The Order commemorates the miraculous Conversion to the Christian faith of the great Roman Emperor Constantine after his glorious victory in the battle of Saxa Rubra and the Milvian Bridge in the year AD 312, and the impact that his conversion had on the further development and global spread of the Christian religion. The Order comprises of three degrees with a further two appendant degrees concerning the ceremony of the Knights of the Holy Sepulchre and St. John the Evangelist, in which ultimate aims of Freemasonry are revealed. Candidates for this order must be members of both Craft and Royal Arch Chapter and profess a belief in the Christian Trinitarian Faith. 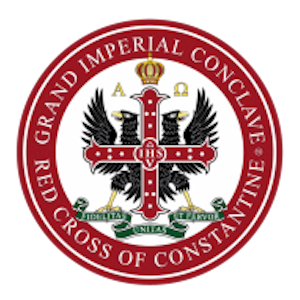 If you would like further information about about The Masonic and Military Order of the Red Cross of Constantine and the Orders of the Holy Sepulchre and of St John the Evangelist, please get in touch.